More than 100,000 people took to the streets around Ireland on Saturday (February 9) to demonstrate against the €64 billion bank debt which has been forced onto the country’s population. The protests, organised by the Irish Congress of Trade Unions, marked the end of a busy week in Irish politics, which saw the publication of a report into the barbaric Magdalene Laundries, the liquidation of the former Anglo-Irish Bank and the announcement of a supposed “deal” on the hated promissory notes. Basic democratic standards took a hit on each occasion. Although the population have been subjected to a relentless campaign of government spin and misinformation, those who attended Saturday’s rallies were well aware that the “deal” presented to the population earlier in the week was merely an extension of the calamitous bank guarantee which Brian Cowen and Brian Lenihan condemned this country to. 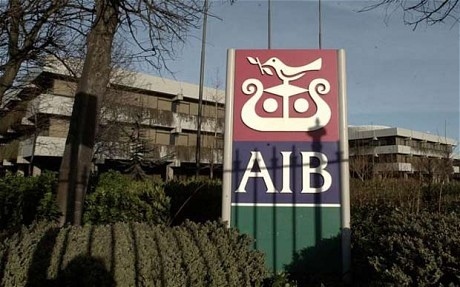 As a result, Ireland will pay for almost half of the total cost of Europe’s banking crisis, with every citizen coughing up €9,000 – compared to a European average of €191. Over the next 40 years, because of our political class’s dread of seeing billionaire speculators suffer a loss, the country’s population will witness hospital closures and mass emigration in order to repay a loan which they never took out. This is the incessant “no bondholder left behind” approach so eagerly adopted by Fine Gael, Labour and Fianna Fáil. “We are not going to have the name ‘defaulter’ written across our foreheads,” boasted Taoiseach Enda Kenny. “We will pay our way, we have never looked for a debt write-down.” The only concern this government has with paying off an illegitimate debt, it seems, is the timing. It will now be paid off over four decades instead of one. So much for a “deal”. So much for our “partners” in the ECB. The political class in Ireland have long been infatuated with the wealth of foreign capitalists. Since partition, our economy was built around the goal of attracting “foreign investment” rather than the development of native industries. Economic policy was constructed around the desires of the wealthy, more so than most other European nations, a situation which continues to the present day. It is the enduring continuation of “trickle-down theory”, the folly long promoted by Ronald Regan and Margaret Thatcher which contends that the more wealth those at the top accumulate, the more those at the bottom will benefit. The global stagnation of wages in the midst of rising CEO pay over the last three decades is proof of its failure. Despite the gravity of last week’s events, as well as the wider drive for austerity in general, the ICTU leadership succeeded only in completely neutering the message of Saturday’s rallies. A comedian, a rapper and musicians dominated the stage outside Government Buildings in Dublin in what seemed to be a deliberate attempt to depoliticise the protest. The crowd was entertained rather than radicalised by an uninspired display devoid of any political content. Its success in entertaining those in attendance was affirmed by the droves of protesters who departed the rally early. The overall message of the demonstrations was carefully crafted by a trade union leadership determined to pursue a social partnership model which has immensely weakened the movement. The ire of the top brass was directed solely at the EU/ECB/IMF Troika, and not the government which has chosen to implement their policies, betraying pre-election promises. Rather than demanding the outright repudiation of a debt that we have no moral obligation to pay back, the ICTU leadership is content to call for a “better deal”. Bland, apolitical campaigns which fail even to inspire otherwise enthusiastic activists are unlikely to reverse the drop in trade union membership we have seen over the past number of decades. The opportunity to send out a radical message on Saturday was entirely squandered. This is a somewhat unsurprising consequence, given that this same leadership failed to take a position on the Fiscal Compact Treaty last year which enshrined austerity into EU law. As we approach the centenary of the great class battle which occurred during the Dublin Lockout, the contrast between Larkin and Connolly and the present leadership couldn’t be greater. It’s time for change.